This LCD module uses a 128x64 liquid crystal display that support Chinese character , English characters and even graphics. It can exhibit 4 lines and 12 English characters/6 Chinese characters per line. It is suitable for interactive work with Arduino. It features a backlit control, pallerlel or serial control, contrast adjust. It can be connect to our interface shield via IDC6 socket and cables. The LCD is shipped in Parallel mode by default. The PSB_ON switch is used to set the interface mode. 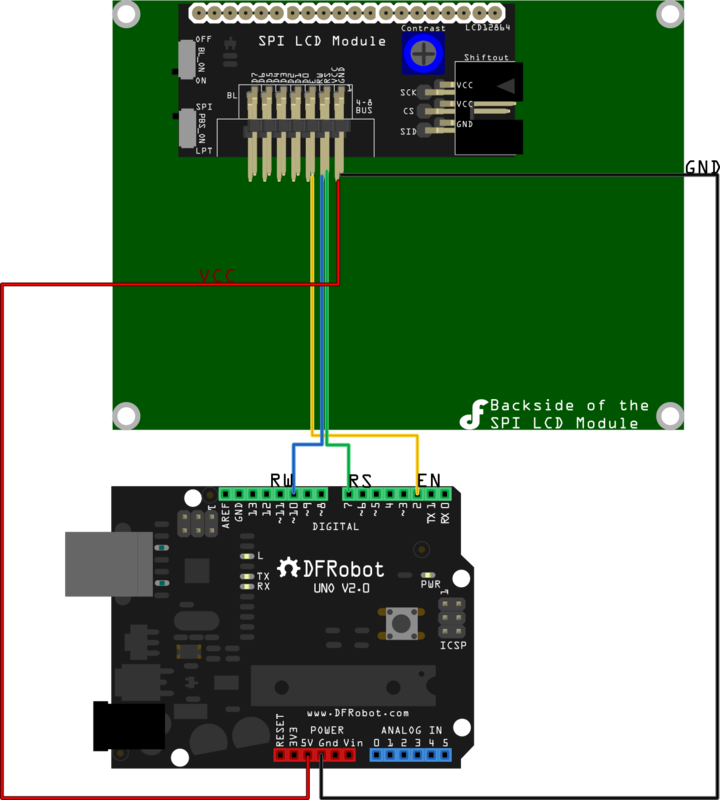 To switch to 3-Wire mode, Set the switch to SPI. This sample is working under Parallel mode. You will need Arduino library which can be download here. The following sample is working under 3-Wire mode. You will need the Arduino Library which can be downloaded here. The following sample is working under 3-Wire mode. 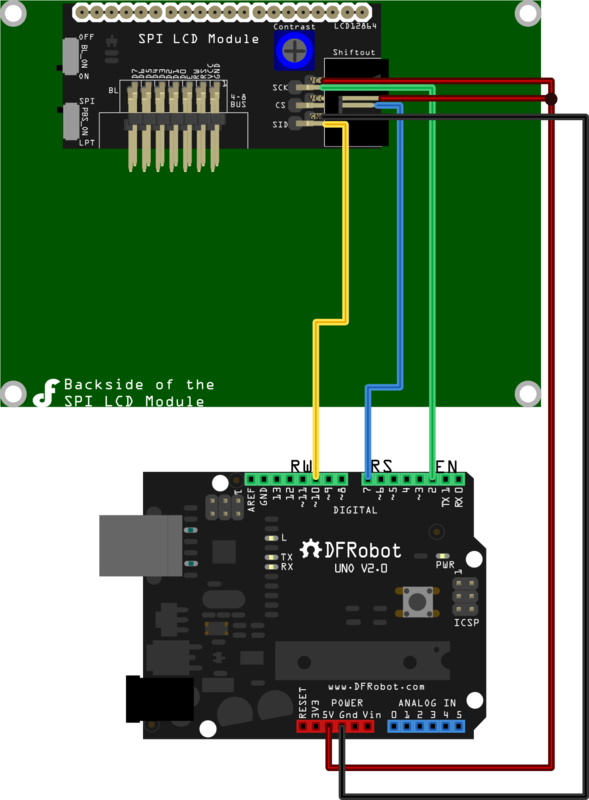 It demonstrates how to display integers on the LCD screen. 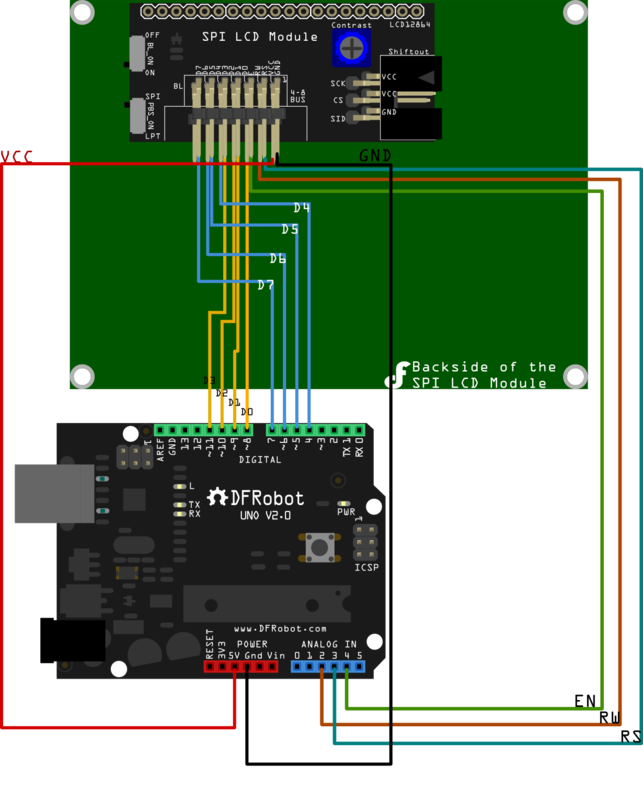 You will need the Arduino Library which can be downloaded here. 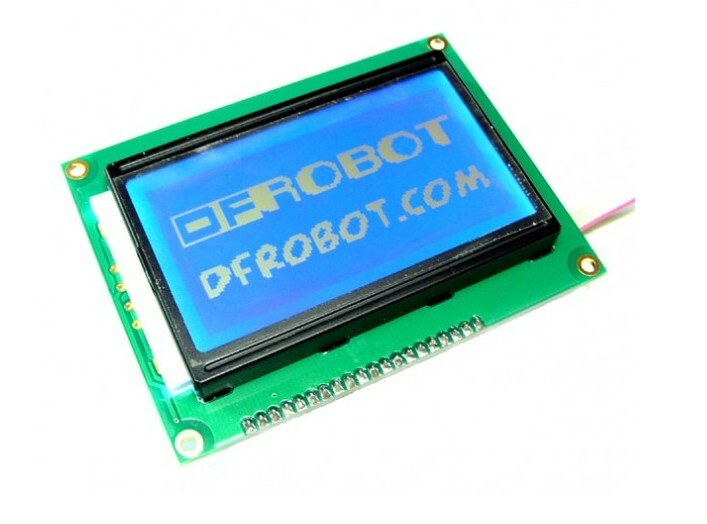 Get 3-Wire LCD Module from DFRobot Store or DFRobot Distributor.